Nothing says breakfast like bacon and eggs. 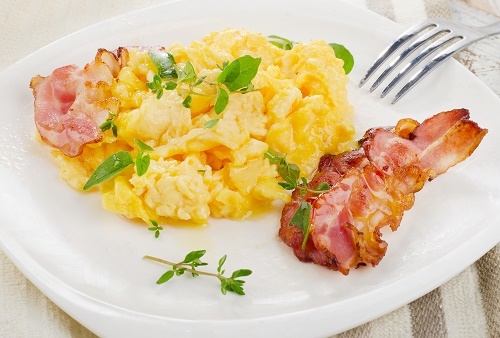 Cook the bacon over medium high heat while you beat the eggs and cream together. Add to the pan and stir gently while cooking until the eggs are solid. Season to taste before serving.